So it’s really hard to write about a book like this! I’ll keep it to my favorite thing about this book: it was clearly written to be read aloud. 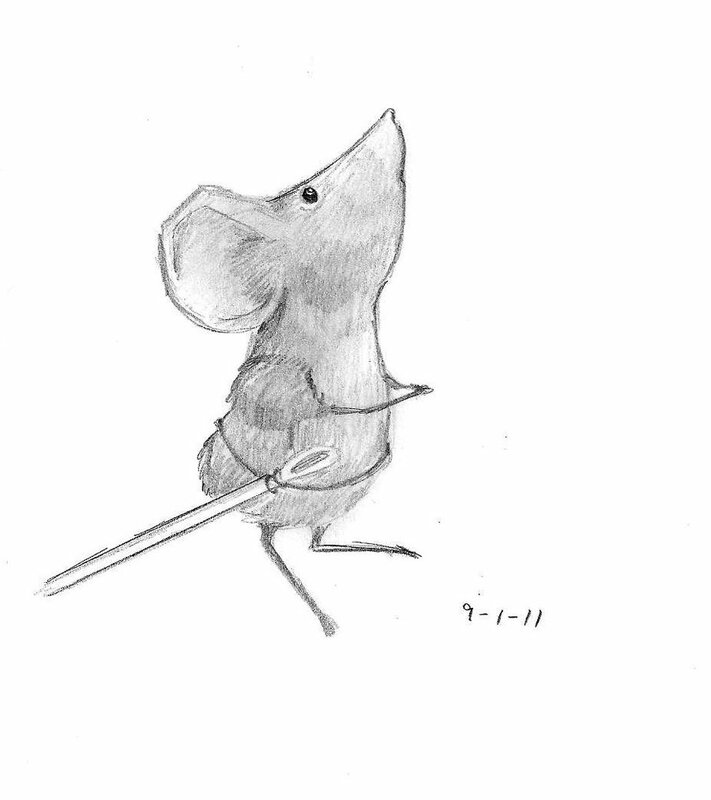 Of the 4 or 5 times I’ve read Despereaux, I’ve only read it to myself once. All the other times has been out loud to my class. There is a lyricality to the writing that you don’t quite get when you read it at inside-your-head reading speed. Plus, DiCamillo’s asides to the reader just make more sense when read to a room full of eager ears. The characters are so well-painted they lend themselves to voices even for people like me who normally don’t read aloud with different voices. And I love the classic fantasy all-roads-lead-to-the-castle, where we get to see all the different paths Despereaux, Roschuro, and Miggery Sow take. I love the Greek chorus of other mice (especially his mother) that constantly remind us of our hero’s predicament. It’s a perfect amalgamation of classic elements that come together in a classic story. Good job, Newbery committee! Would kids like it? Kids love this book. It’s a fairy tale, it’s about animals, it’s an underdog story. Classic. Are there “funny bits”? A little bit! Nothing laugh-out-loud, but when DiCamillo speaks directly to the reader there’s a tongue-in-cheek-ness to it, and the voices of Roschuro and Miggery Sow are tinged with humor. Do I understand why it won? Totally. This had Newbery written all over it. Just the writing itself is magical, and the multiple perspectives and complicated timeline is masterful in a way awards committees can’t overlook.